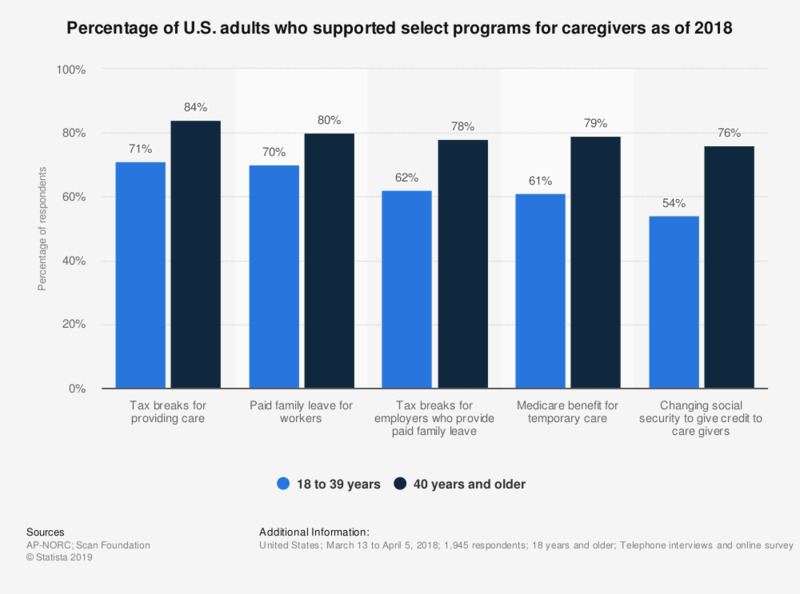 This survey shows the percentage of U.S. adults who supported various programs for caregivers as of 2018. In 2018, around 84 percent of respondents aged 40 years and older favored tax breaks for providing care. Original question: To help Americans prepare for the costs of providing ongoing living assistance, would you favor, oppose, or neither favor nor oppose each of the following?